may 2014 bring plenty of MIJ NGD glory to all you addicts!! Merry Christmas too all mates here and a happy MIJ year! Merry Xmas you nutters from sunny Brisbane. We have the Boxing Day Test to look forward to tomorrow at the MCG. Yet another demolition! So much for "Beefy" Botham's 5 zip drubbing in England's favour. 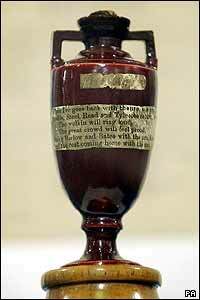 This piece of cricket history now lives here, where it belongs. Thanks England for this most treasured Xmas present. Merry Christmas from Ukraine to All ! Merry christmas from good old germany! Thanks for all advice, sharing, support over the year! Hope Santa gives you all some nice guitar gear and if not, well then he is a c**t!